The Deer Lick Group got its name from Tomm Lorenzin, author of 1000+: The Amateur Astronomer's Field Guide to Deep Sky Observing. He reportedly had such an impressive view of this group of galaxies while observing in Deer Lick Gap (North Carolina), that he named them after that site. 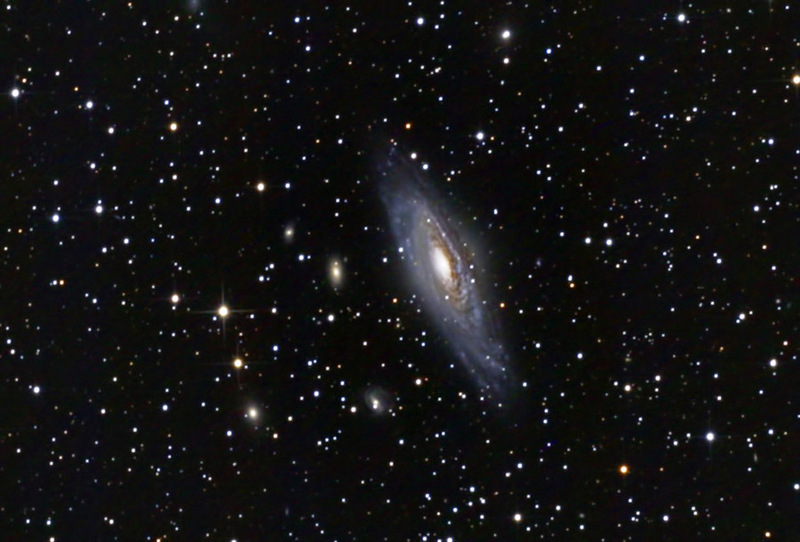 The predominant galaxy is NGC 7331. It is believed to be very similar to our own Milky Way. Processing: Images were calibrated, aligned, and combined in ImagesPlus. The final image was adjusted (Curves, Levels, Cropping) in Photoshop. Noise was reduced using DeNoise.